In the depths of the earth there are unlimited trove treasures that have long been known to human and which are safely used. We all remember about minerals, actively use gas, oil, coal in daily life, we carry silverwares, gold, precious stones, but we forget about one great treasure – geothermal energy. What is this and what is its value? It is believed that geothermal energy is one of the most profitable sources of energy. A great amount of this energy is in magma. The Earth’s warmth is a real pearl, which has several advantages over the energy of gas, oil and atom. If you transfer the amount of underground heat into megawatt-hours , which annually rises to the surface, then 100 billion will turn out! It significantly exceeds the amount of consumed energy on the planet. More and more households around the world are investing in geothermal energy by building geothermal power plants to reduce their costs. These stations receive the Earth’s heat through the drilling of steam or water wells and use this energy to heat the water or any other type of liquid. It is necessary to rotate generating turbines that produce energy, which then is distributed among consumers. Then the liquid is cooled by means of a condenser and returned to the ground. 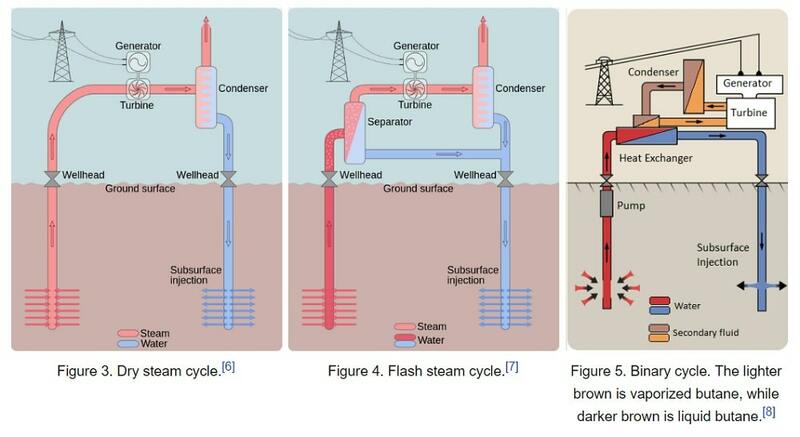 There are three methods for converting geothermal energy into electricity (Fig. 1). And this is due to two factors: the state of the environment (water or steam) and the temperature of the breed. The direct method involves the use of dry steam. 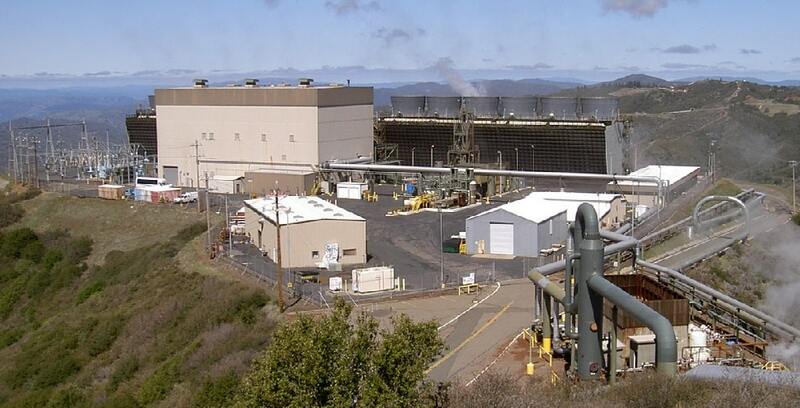 The Geysers (Northern California) is one of the most well-known geotechnical methods of this type, and in general, this complex includes 22 geothermal power plants (photo 1). An indirect method is the use of water steam. The water temperature should be above 180 ° C, so that under its own pressure it can flow up through the well. It is worth noting that this temperature is lower than those dry steam installations. When the pressure decreases, part of the water “flares” in the form of a steam passing through the section of the turbine. The rest of the water that does not become steam turns back into the well and can be reused for heating. The cost of these systems increases due to more complex mechanisms, but they can still compete with conventional power supplies. Many examples of such stations exist in Iceland, they are owned by Orkuveita Reykjavikur, photo 2. A mixed or binary method is the use of geothermal water in conjunction with an auxiliary fluid ( for e.g. freon). According to forecasts, in future, binary power plants will become the most commonly used type of geotechnical production. This is due to the fact that lower-temperature water is suitable for installations of the binary cycle. They also do not lose any emissions, except water steam. And, for example, installations with “dry steam” emit greenhouse gases. 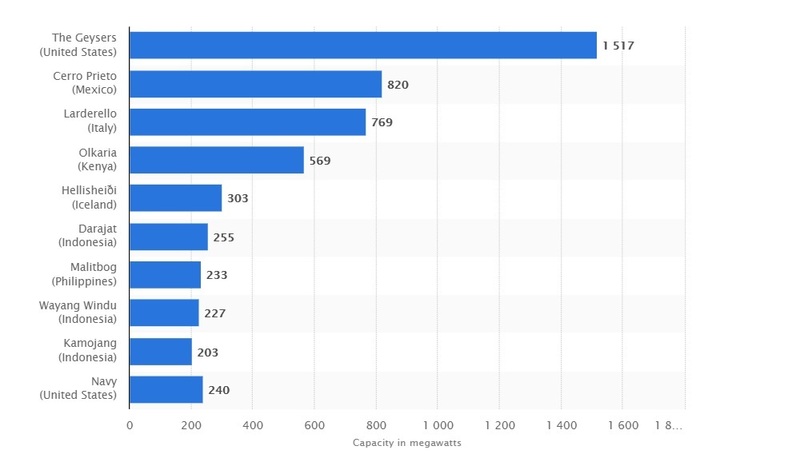 Of course, they make up only one-eighth of the emissions from coal-fired power plants, but they are also emissions. An example of a binary setup geothermal power plants on photo 3. Although there are different types of geothermal power plants, they all perform the same basic function – catch a rising steam or hot water and use it to power the electric generator. Of course, geothermal power plants have their advantages and disadvantages, let’s take a closer look at them. Geothermal power plants have lots of advantages. Comparatively ecologically clean. Unlike coal-fired power plants, geothermal ones use a renewable heat source with a constant supply. 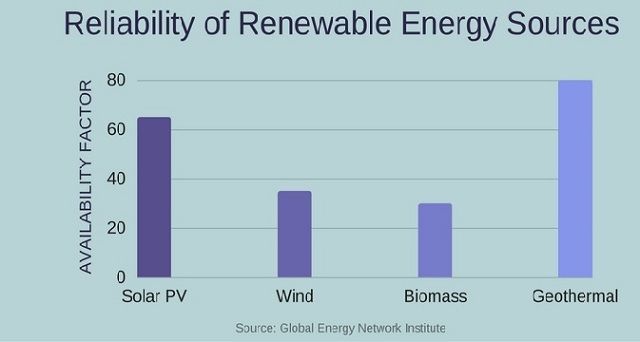 Studies have shown that only 6.5% of the total world potential is involved in the industry, which means that energy will last for many years in advance. In addition, the amount of greenhouse gas from geothermal power plants is only 5% in the contrary with coal-fired power plants. More energy. 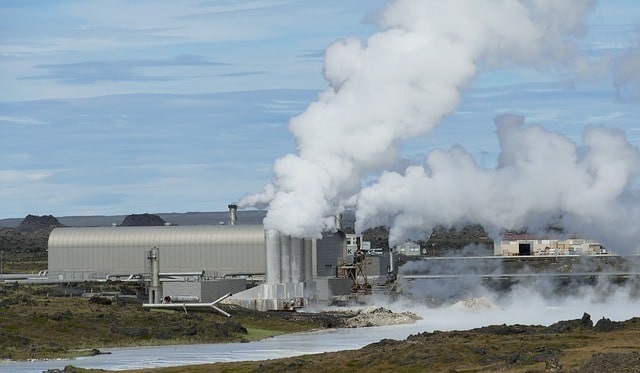 Geothermal power stations have great capacity – they can gravely help in meeting the demand for energy that grows every year, both in developed and developing countries. Stable prices. Simple power plants depend on fuel, so the cost of their electricity is varying, based on the market price of fuel. Since geothermal power plants do not use fuel, they do not need to take into account its cost, and they can offer their customers stable electricity costs. Low operating costs. Geothermal installations require minimal maintenance compared to conventional power plants. As a result, they are reliable and cheap in operation. Renewable and sustainable source. Geothermal energy will never end, unlike non-renewable energy sources. As long as the earth supports our lives, geothermal energy will exist and geothermal power will work. Permanent power supply. Unlike other renewable energy sources, geothermal one can provide a constant supply of energy – 24 hours a day, 7 days a week, 365 days a year, regardless of external factors. For example, solar panels can produce electricity only during the day, and wind turbines produce energy only with sufficient wind. Small area. They occupy less space than their coal, oil and gas equivalents. Although they will reach far below the earth’s surface, their area will be negligible. Low noise work. There is a little noise in the production of geothermal energy. The main source of noise is the fans that are in the cooling systems. To reduce its level, engineers can install in the generator shops materials with high damping properties. It helps to reduce noise pollution. Energy security. Using local geothermal resources, the need to supply sources from other countries reduces, which, in turn, lowers dependence on external influences and helps to increase our energy security. As it often happens, some advantages can smoothly go into disadvantages, everything will depend from which side to consider a particular question. No wonder that there are two sides of the same coin. So, the disadvantages of geothermal power plants. Ecological problem. High environmental consumption of fresh water can be a loss for the environment, which will ultimately lead to its deficit. Liquids extracted from the earth during drilling contain a large number of toxic chemicals (including arsenic and mercury), as well as greenhouse gases (such as hydrogen sulfide, carbon dioxide, methane, ammonia and radon). If they are incorrectly disposed or treated, they can get into the atmosphere or leak into groundwater and damage the environment and human health. Seismic instability. There are reasons to believe that geothermal structures have caused underground shakings in different parts of the world. Despite the fact that seismic activity is often insignificant, it can lead to building damage, injuries and death. In 2006, scientists blamed the geothermal exploration project in Basel (Switzerland) for causing a series of earthquakes. Some of these earthquakes were estimated in 3.4 points on a Richter scale. Further research in 2011 revealed a strong correlation between geothermal exploration and seismic activity. Expensive construction. Geothermal power plants require significant investments. Although they have low operating costs, the cost of their construction may be much higher than coal, oil and gas plants. Much of these expences concerns the exploration and drilling of geothermal energy resources. Traditional power plants do not require exploration and / or drilling. 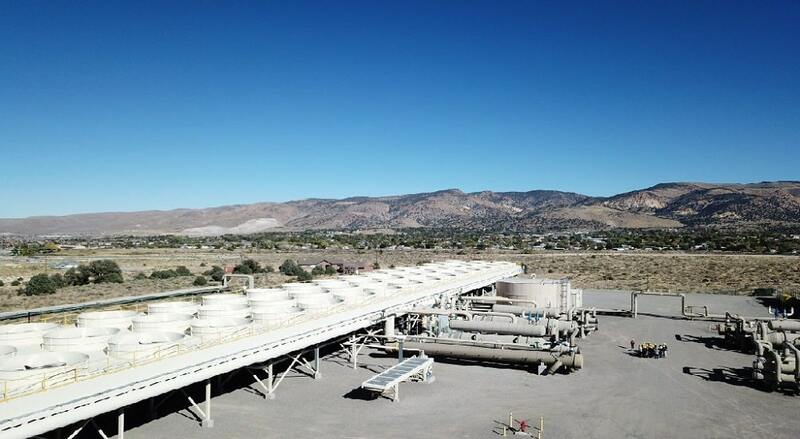 What is more, geothermal power plants require specially developed heating and cooling systems, as well as other equipment that can withstand high temperatures. Possible exhaustion. Studies show that without careful management, geothermal tanks can be exhausted. In such cases, the geothermal power plant will become unnecessary until the tank is restored. The only inexhaustible option is to get geothermal energy directly from the magma, but this technology is still in the process of development. This option is worth investing at least because the magma will exist billions of years. Obviously, geothermal energy has a rather serious potential and will play an important role in future. In Europe, geothermal heat is used for different needs, but most of all – for electricity generation, heating and cooling of buildings. Only in 2017 in the European Union, particular in France, Italy and the Netherlands, nine new stations with a new capacity of 75 MW were put into operation. 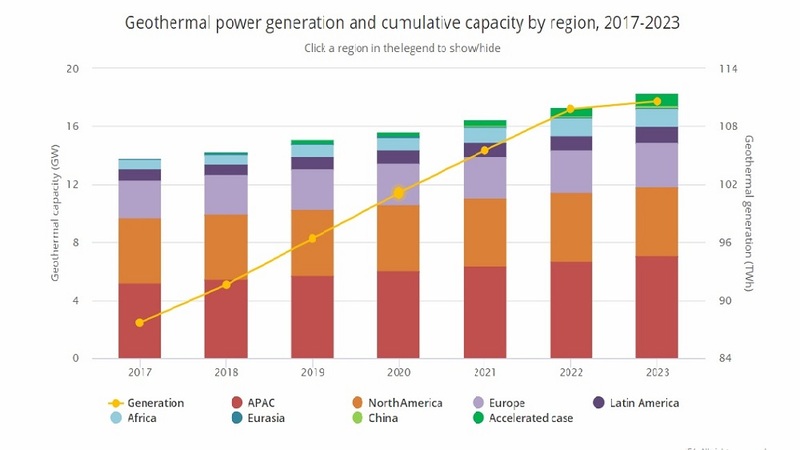 It is expected that by 2023 global geothermal power will increase to 17 GW, with the greatest increase of capacity in Indonesia, Kenya, the Philippines and Turkey (Figure 4). Some researchers believe that geothermal energy should be about 1/6 of the world’s energy supply, and others are vice versa, give it a minimal chance for further existence. It is your choice whether to invest in building a geothermal power station. Anyway, it will be an inherent part of the renewable energy that feeds the world, as pure minerals / combustible minerals disappear will dissapear.